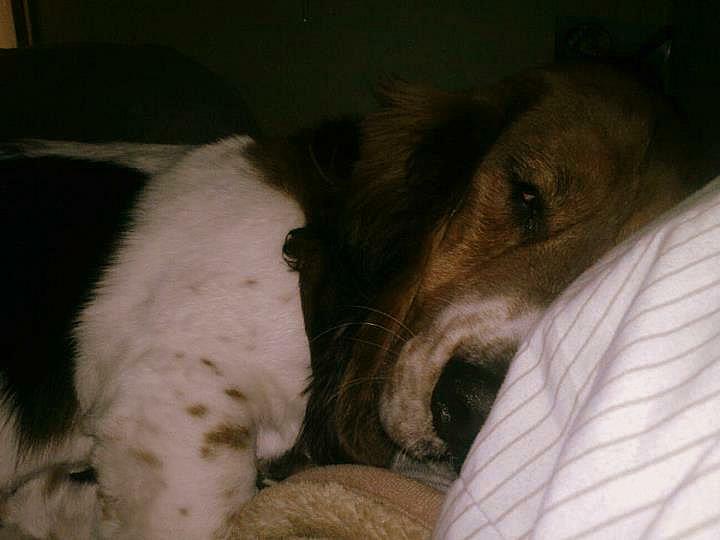 Today my Friday Favorite is my basset hound, Bruce Lee. 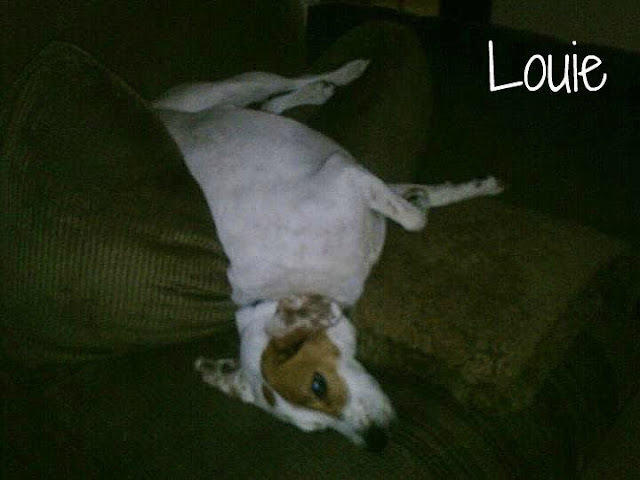 We had one dog we adopted from an animal shelter; Louie, he is a beagle/jack russell mix and is a complete A-hole most of the time. But he has his moments where he can be lovable and snuggle in his own stiff manner. It was apparent right away that Louie was "Channa's dog", and I wanted "my own dog" so after searching the internet and finding a cute puppy for sale, I showed it to Channa and he was all "okay, we can get him" and that we did! The next day we drove a little over 2 hours to a basset hound breeder to get my basset hound! I've always wanted one. Despite their long, stinky ears and stinky paws, and droopy, constantly sad face, I think they are the cutest, friendliest, best family dogs ever. 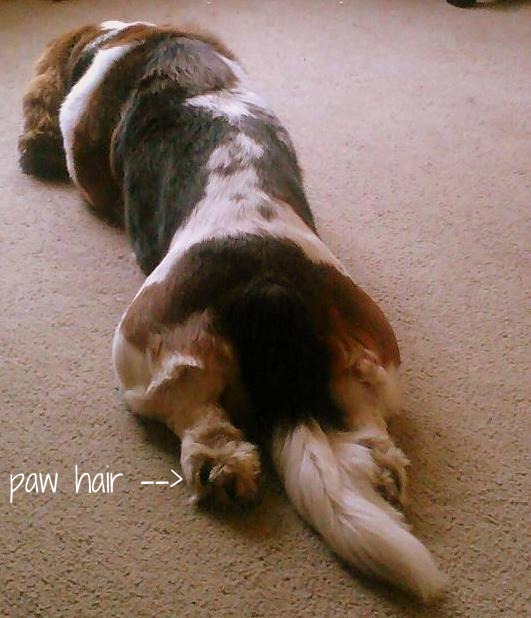 If you search for "long hair basset hounds" you come across a few other people scattered about that have them. Nobody wanted my Bruce Lee baby, so the breeder sold him to us for $200. He is AKC registered, therefore he is a full-blood basset hound. I saw his parents. His dad is one HUGE boy!! Bruce Lee is about 5 years old now...time goes quickly...but you can see in the pictures he hasn't gotten as big as a "normal" basset hound. His legs are really short, and his hair grows nonstop, all over him. ALL.OVER. Notice his paw hair? His tail grows a ton of hair, his belly, and his ears! Goodness, his ear hair is always growing! So he gets groomed quite a lot. Bruce Lee has the best personality a dog could possibly have. He is playful, lazy, lovable and just a great companion. He is stubborn and has a howl that makes us all laugh. 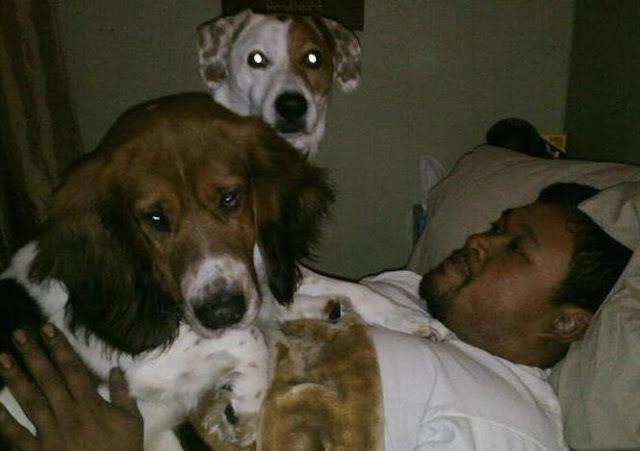 Bruce Lee rarely growls and when he does, it catches us and our other dogs by surprise! What I was able to find out about long hair basset hounds is that they cannot compete in dog shows, they are an instant disqualification, and they don't seem to grow as big as a "regular" basset would. 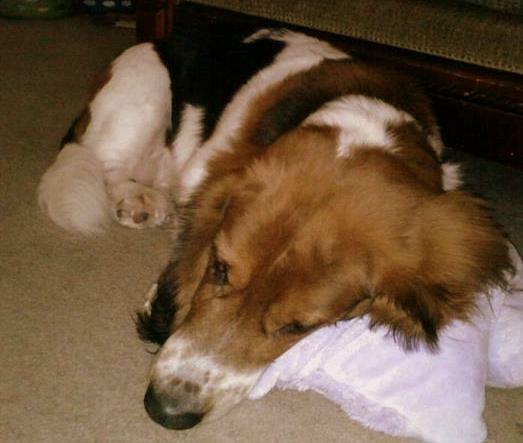 If I could breed him and was sure to have more long haired puppies, I would do it in a heartbeat. My Bruce Lee is everybody's favorite dog. I don't know many dogs that will let kids poke his eyes, ride him like a horse or sit on him and he just sighs. <3 my Brucie Baby! 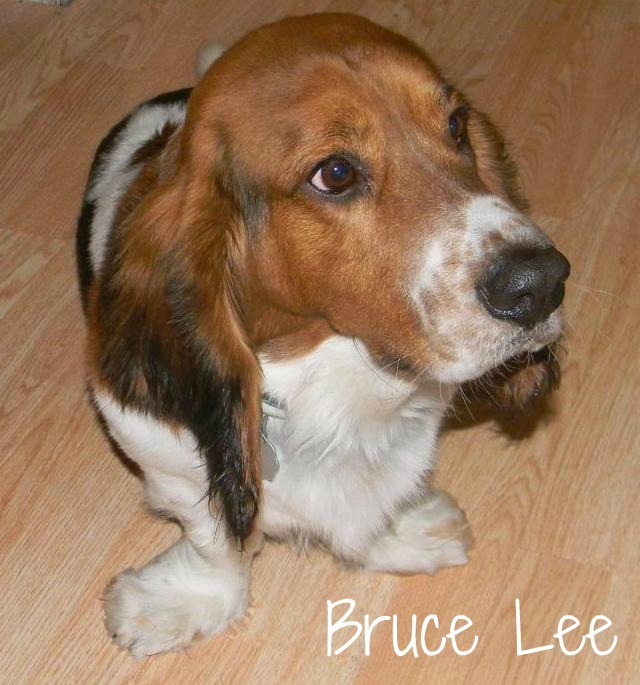 I have a female basset I would love to breed to your Bruce Lee, we are looking to breed her next winter. She doesn't have akc papers but is pure bred and absolutely wonderful. We have her registered with allpurebredregistry.com anyway if you are interested let me know.